It was a third straight winning 11-5 record last week. Would have been even better if not for a 0-3 clunker in prime time games. Can’t help but be impressed by the play of the Arizona Cardinals and Dallas Cowboys while on the other side, it’s definitely time to give up on the Chicago Bears. I will take credit for a 5-1 record on my moderate confidence picks where I’ve be at my best this season. As I say each and every week, let’s move on from the past and get to the Week 16 NFL Picks. *Remember that my picks are straight up (MONEYLINE) and vegas lines are merely used to determine whether I’m choosing an upset, favorite or even pick. *Even picks are classified as opening lines under 2.5 points. Reason: I don’t think the Titans have any interest in winning for the rest of the season and I would feel a little better about the pick if Blake Bortles wasn’t dealing with an ankle injury. However, I’ll take the Jags who have a respectable defense. Reason: This opening Vegas perplexes me because I don’t know how a Colin Kaepernick-led football team can be favored against a decent NFL team. San Diego has at least looked competent against teams like Denver and New England, so I like my chances in an upset in San Francisco. Reason: I thought we were done believing in the Saints at home, but apparently Vegas disagrees. I guess I generally agree because the Saints offense is slightly better and the Falcons defense is slightly worse. This is most likely for the divisional championship as well. Reason: Pittsburgh is coming off an impressive road win at Atlanta and that’s the exact reason why I like the Chiefs to pull off the upset. I haven’t seen the Steelers string together a couple of great performances all season, mostly because of how bad that defense is. The Chiefs take care of the ball and should be able to do enough to pull out a needed win. Reason: I’m guessing that Cam Newton is not at full strength and that we will see a better version of Johnny Manziel in his second start. I’m also returning to how bad the NFC South has been against non-divisional opponents. The Browns’ defense has been respectable and can get the job done versus the Panthers. Reason: Even without workhorse DeMarco Murray, the Cowboys can exploit this Colts’ defense in a number of ways. It also helps that opposing quarterback Andrew Luck is making bonehead interceptions a common occurrence. Dallas will have an opportunity to win this game and make a charge at winning the NFC East. Reason: It’s so easy to see why the Seahawks are heavily favored in this game, but the Cardinals continue to prove people wrong. Moreover, they’re undefeated at home and the Seahawks have never been a good road team. In order to hedge my Seahawks pick, I’ll keep the confidence on this one low. Reason: Give me this game a month ago and I’m ready to pick the Broncos as my lock of the week. Yet, the Bengals are winning road games and the Broncos are stumbling their way to wins to make this a harder choice. I’ll stick with the Broncos until they actually start losing games which wouldn’t be a good sign for Peyton Manning’s playoff hopes. Reason: A desperate Eagles team versus RG3 and the soap opera known as the Washington Redskins. It’s not hard to make a pick in this one. Reason: Miami is surely the best team in this matchup, but you wonder whether they will not care with their chances at the playoffs gone. Minnesota is one of those frisky teams and really should have won in Detroit last week. I’ll stick with the Dolphins because this is the NFL and that talent can’t afford to not play well. Reason: This line can’t get big enough as the Packers need this game to keep pace with the Detroit Lions for the NFC North title. I went back and watched Green Bay’s loss to Buffalo and they had so many chances to come back and take that game. They won’t make the same mistakes two weeks in a row. Reason: Detroit’s offense looked bad once again versus an above average Minnesota defense. They shouldn’t have much of a problem with the Bears at all though. Chicago is in ruins and they don’t have a chance to win a game in my opinion. Reason: The Patriots are the best team in football and I’m starting to come around to arguments for Tom Brady as the MVP. The Jets are capable of knocking off bad teams, but they’re not playing one this week. Look for the Patriots to keep peeking all the way into the playoffs. Reason: If only Shaun Hill could have worked up one touchdown against Arizona, they could have pulled off the win in what’s been an impressive second half of the season. The Rams defense is nuts and should be able to limit what outstanding rookie Odell Beckham can do. If you have to watch this game, take a look at Aaron Donald who will be a household name in a couple of years. Reason: We all saw what Buffalo did against Aaron Rodgers, so I don’t think they will struggle to stop Derek Carr. I could see this being a low-scoring game, yet I still like the hapless Buffalo offense to score a few points. 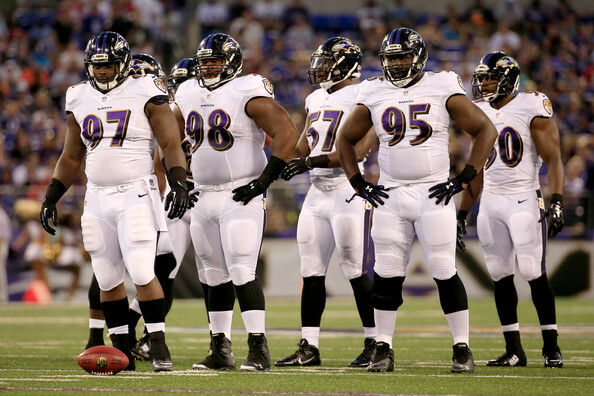 Reason: The Ravens pass-rush has been utterly ridiculous over the past couple of weeks. Whoever the Texans decide to trot out at quarterback will have to hand the ball off way too much. It will be interesting to see if the Ravens can jumpstart their running game that has kept them afloat this year. J.J. Watt will beast as usual, but it won’t be enough to get the win at home. Let me know where you agree and disagree in week sixteen. Good luck and most importantly enjoy the games!